I will be having two guests on tonight that describe seeing this creature come up to their bedroom window at night. Both witnesses were children and young adults when this happened. One witnesses is now a long haul truck driver and I asked him what is the strangest thing you have ever seen while driving long haul? His answer might surprise you. Show time suprise!!! Much thanks Wes!!! Wes ‘snuck it up on us again’ lol. Wes, that joke was hilarious! Hahaha I’m an elementary teacher and I can totally see that happening! Really needed this escape from the mundane today! Thanks for such a diverse collection of offerings for subscribers! I really appreciate it. And the app will be great! I like your descriptive terminology , Tim , “heart pumpin’ peanut butter!” That’s gotta be some kind of scared!😱 Hope I’m never in that position! Thx for sharing your fascinating encounters! Thank you Wes. Always appreciate your work. I thought I was seeing things…glad I stopped by and got a surprise! Thank you! Yes, I would agree, Wes. I am a Shawnee from Oklahoma. Scary stuff right there. What an unexpected surprise! Fell asleep listening last night so had to go back this morning to finish… Tim, thank you so much for sharing with us! Really great stuff and prayers that you stay safe in your work and your endeavors. Wes, thanks so much! Always top notch and I enjoy the unexpected jokes or stories you give us! What a relief he was found unharmed! It must have been a female Sasquatch with maternal instincts. I read about that kid and the first thought in my mind was…Sasquatch! I thought the same thing about the lost boy. I doubt a bear would take care of the boy or stay close to him, but who knows? I heard about the 3 yr old. Maybe I am wrong, beard don’t usually help humans. I don’t recall ever hearing of a wild bear helping a person. I thought of a BF as well. I would love to know anything else he has said about the “Bear,”. Thanks for your hard work Wes! Love the third witness Wes. Could that overwhelming feeling be the Holy Spirit? Like that time I kept hearing inside something saying “Leave.”, then “Leave Now”, “Don’t Run”, ” Stay Calm”, “Keep Moving”, Don’t look around”… I really didn’t realize how intense the feeling was, until I got close to the fence to cross over into the yard, and felt a release and relief. It literally felt like a pressure came off my shoulders. Maybe it was an angel, escorting me out of there. And it was so very, very quite in those woods that day. I also agree with him about having to do with the end times. It says ” Giants are coming to fulfill my wrath”. Do they have a soul? Do they breathe? Of course, so of course they have a soul. But it also says people are created in God’s image, and we are body. soul, AND spirit. That spirit is the distinguishing factor, the part that immediately ‘died’ and separated humankind from the Holy Spirit, and that’s exactly what comes to life when we are ‘born again’. Yes, I too believe these things are hybrid humans, but made from a different entity eons ago. Anyway Wes, thank you once again. I just admire how you are helping so many people. Blessings Wes and Company. I know what you mean about truck drivers seeing things in the middle of the night, and not always supernatural things. Case in point, reminded me of a friend of ours who get a ticket for drinking under the influence and was escorted promptly to jail. After he was booked he had the opp to make a call, so he called another friend of ours and asked him to come bail him out of jail. It was like 1 or 2 in the morning. The guy got out of bed, drove to the jail and made bail for the drunk friend, and brought him home to make sure he sobered up. So, by this time it’s about 3:30 or so, and the street are deserted. He turns down a thoroughfare to go to his street, when suddenly he notices a (male) jogger clipping along at a pretty good pace. The jogger was going down this public street at approximately 3:30 am, Buck-Naked, and wearing only jogging shoes and socks. We all roared later when they recounted the drunk story and the necked jogger! *uh, driving under the influence. Sorry! AND Naked jogger – Oy Vey! Interesting thoughts m99. I do belief in intuition but I also very much believe in the Holy Spirit to guide and protect us from evil or warn us of danger in this world. Yes, m99! I worked for the Sheriff’s Dept. for 22 years. I RELIED on the inner prompting of the Holy Spirit! Glad to hear it Rita. The Sheriff’s dept has the power in the land, and I bet you’ve really seen it all. Thank you for your service. Also glad to hear you relied on intuition at times. The thing I was referring to above was when I was 14 years old and lived with my dad, step mother and four other siblings. Being the solitude type person, I had gone off by myself to get some peace. I thought (at the time) I was just being a baby, but glad I heeded the messages anyway. Wes…..You make every weekend special and something to look forward to. Thanks for all the hard work you do to bring us these awesome encounters every week without fail. THANKS!!!!! Cool show Wes . great encounters. long time member .San Antonio Tx. i think it was a Sasquatch that took care of that young boy . thanks Wes. I believe there are some you would never want to meet and would be deadly to humans but also that some may be under certain circumstances helpful to us and manifest compassion. Those stories pop up all the time. Calhoun county WV. Has know traffic light. Just thought I’d ya,ll that beginning a native WV boy. Awesome, Loved the Show. Thanks for sharing. Wes your the man agian my friend! I do mean that in the most truthful way possible!! Thank you brother from another mother!! This poor guy lived out in the country like me. I know too well those feelings he had. Being secluded and frightened as kid will scar you for life. Another great episode. Thanks Wes and guests! I dont like to judge but last guy sounded a lil nutty! Thanks for another great show, Wes! Found myself unable to recall if that was your first interview of a deer woman witness? Good thing he was in a truck and unable to stop! The rat horde dumpster frenzy was great too! The world is wide. Did anyone else hear it…? The first guest, John, mentioned hearing a creature hooting when he lived in TENNESSEE! That must be the 5 or 6th Tennessee reference I’ve heard on this show since Christmas. Man, I love caffeine, but the truck driver sounded seriously over caffeinated! So God DID create everything that exists, but some of His creation got up to no good, and started trying to create things also….just as science is doing today…mixing species….believing they can improve on God’s creation. Lacking His infinite knowledge, monsters can have resulted in these flawed attempts. (See Gen.6, and other historical writings such as the books this caller mentioned.) I base my paradigm on the basis of the Holy Scripture being true. It’s our lack of understanding of Scripture that can get us into some in-part truths that can get us off into some dangerous areas. Scripture gives us some safety guidelines to follow that are worth studying out. The Holy Spirit will lead us into all Truth if we are looking to God for it. . . . even to truth about what Big Foot is! We just need to tread carefully! We have the potential to cause good or evil, safety or danger! Personally, I want to know the truth without bringing on the danger! LOL! 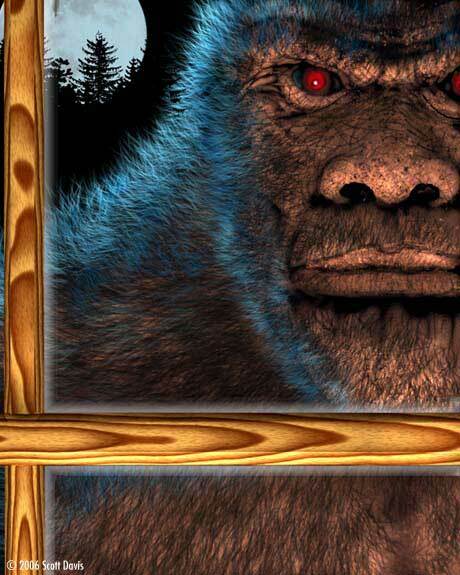 I cant get enough of sasquatch chronicles! Thanks Wes and guests. Great show Wes. One dumb question. I know the first segment wasn’t really about dogmam, but it got me to thinking. Have you ever gotten reposts of a juvenile dogman? Seems like we hear about juvenile Sasquatch, I just don’t recall ever hearing on any of the dogman episodes of a juvenile. Good observation & question David. Thanks Jon. Just thought it might be relevant with the demonic theories that are out there. Seems like if something was demonic in nature it might skip the developmental stages. Just a thought. David there have been a few shows on juvenile Dogman. I do not remember the episode but on one show a man found a “pup” Dogman and brought it home to care for. It was a fasinating show. I will try to find it. Hey Wes, I have a question. When were you on Evil Encounters? I just saw your episode where you explain the encounter that you and Woody had. It was pretty good. More stories of weird sightings from truck drivers please! Hi Dimitri K ~ Yes! That’s what I want too! Have you seen this one featuring Large Marge? While I DO feel that humanity is on a very poor path these days, as a person of different faith, I personally believe the “increase” we sometimes feel is more due to our current ability to communicate and openly share our stories together in an open-minded public forum like SC that contributes to the increase in knowledge of the wider physical and spiritual world. It allows us to learn and grow. I remember a lot of similar half spoken stories from 30-40 years ago that were never explored but swept under a rug or treated as fantasy in a fearful attempt to diminish their reality and power. Ignoring reality only weakens us. Heck…these ancestral tales have been with us for thousands of years when we open our minds we see them in countless forms and traditions and putting our fears aside, there is much they can teach us. Awesome as always Wes….Sorry to do this to you again but here is another assclown putting up your shows. https://www.youtube.com/watch?v=Ql_QWtYNGuA He is putting like 15 ads on every episode and has 24 up so far. Yes Craig you’re right. I found this guy the other day and send Wes an email about it. I hate these people who refuse to pay for content. Good job on reporting him. New member. Love your intro and back ground music. Great interviewer. I just have a comment…. Even dogs know about guns. Point a gun or any that represents a barrel and MANY dogs will back away. I havent determined if it is dogs that have been shot at or just hunting dogs. But many times i have seen dogs back away from items pointed at them that look like a barrel. Joke made me laugh. I dont often laugh unless I’m taking it. Thanks! Listening to this again, and laughing @Wes’ comment – it’s always blamed on ‘a black guy’. It wasn’t until after finding SC that I remember what my little sister said ~ a black guy was looking at her through the window. That house was on piers (also called pilings, or even stilts), then an air conditioner was in that window, hanging out as they do to the outside of the house. She said she saw a black man staring at her through the slit in the curtain. It would have had to be 7 or 8 feet tall to look through there, plus she said he was leaning forward close to the window, so he would have had to lean over the window unit as well. Not very likely huh? I think it was a Sasquatch. Hello my Fellow Sasquatch Chronicles fans..
Tonight I saw an announcement on Facebook that Sasquatch Chronicles and the Confessionals are to do their shows live in Tomball Texas May 11th 2019. Tickets are $25 each and only 200 seats are available. As of this writing I purchased my tickets and only 45 remain. See the link below for a chance to get in. Anyone else in the Tomball Conroe Magnolia and Houston Area interested?? My wife and I are going to be there maybe our area fan base should start a forum here in Wes’s groups or on FB. After all Montgomery County have the highest incidence of sightings in the state. Might be good to talk about this and other topics. Yeah, also Wes has a blog entry with information about that too. As much as i love Saschron I’m fed up when guests start bringing up the bible and all this spiritual bs, then try to associate it with bigfoot. Please lets keep it real it’s a huge creature nothing more nothing less. The flute players are overtaking the show. Please remember this is my opinion so don’t start kicking off upon me, as we’re all entitled to them! So Jamie, this is not my show, or your show, it’s Wes’ show and his whole premise is it’s about witnesses and their encounters with Sasquatch or other cryptids type creatures. If someone speaks about it it’s Wes’ business to dictate whether or not something is shared. I used to not be a believer in Jesus Christ. That’s okay because God leaves it up to the person to accept the truth or not. I used to also not be a believer in Sasquatch. I thought it was BS. I told a friend of mine it was BS she tried to tell me about her encounter. In other words, SC is about allowing people to be themselves and talk on their own level. And maybe someday you’ll be able to understand spiritual matters because God doesn’t give up on anyone. Reference to flute players doesn’t have anything to do with people who are Christians or believe Sasquatch is Nephilim. It is a reference to people who believe they’re furry, cuddly sweet forest folks who love us and we love them. That’s what a flute player is. Thanks Wes!!! Enjoyable evening listening to these encounters. Well Tim, be careful when you Eric proceed out there. Especially, since two campers went missing in the Ocala National Forest, a few years back. They were later found dead. The two campers did not know each other and it wasn’t displayed throughout the news. I reside in Central Florida as well. You seem educated enough on the species, but you might want to have serious fire power because I wouldn’t mess with them in that area of Central Florida. Be safe!!! Thank you for all your hard work Wes!! According to the genetic studies done recently these cryptid creatures have a human genetic component and an “unknown” genetic component. Personally, I believe that the “unknown” component possibly comes from the fallen celestial beings that have been opposing the Creator and mankind for eons. The plan of the Watchers and the other parts of that kingdom is to invade this realm and pervert the creation. Cryptids are a perversion of the natural order. They have some abilities that humans no longer can access because of that “unknown” genetic component. Yes, they are flesh and blood. The Watchers “left their first estate” and became flesh and blood but retained some of their celestial abilities. Their offspring inherited some of those strange abilities. The same kind of genetic manipulation took place after the flood but these genetic perversions were not as large or as powerful as those prior to the flood. If they existed then there is no reason why they would not exist now. I don’t think that cryptids are Nephilim. Nephilim were the “mighty men of old.” It says in Enoch that the Watchers also “sinned against” the mammals, the birds, the sea life, and even the insects. That does not have a sexual connotation as what they did with “the daughters of men.” It was probably some sort of genetic manipulation. We see the images of such manipulation carved into the megalithic buildings found all over the planet. Images of beasts that are part human and part animal. Some are such genetic mixups that they are not recognizable as any existing being. Science tells us that these genetic monstrosities were just the imaginations of primitive man, however, the technology used to create those megalithic buildings has not been achieved even today. Obviously, there were beings around at the time that were far advanced beyond even our abilities today. Why would these orbs be found where these cryptids are? What is an orb? Maybe some sort of spiritual entity that keeps watch on these things? Are they what drains batteries and shuts down power in some areas? What is an “alien?” Obviously they are alien because they don’t come from here “officially.” I don’t believe they are from some other galaxy. I think that they have been here for a very long time. There are Old Testament scriptures that tell of “chariots” in the sky. The Creator gave man dominion over this planet. Even though Adam rebelled and obeyed the serpent that dominion was never revoked. Nothing enters this realm without some human’s permission. It was people who allowed the Watchers of old to dominate this planet for a time (give an inch, they take a mile) and after the flood people allowed some kind of dark entity to enter again. This earth was created to be perfect and these rebellious entities have been working to pervert the creation ever since the beginning. I do agree with the truck driver in that possibly these cryptids will be used during the tribulation period to devour. In Revelation 6:7 it says that 1/4 of mankind (possibly in one area, possibly throughout the world) will die from war, famine, and “the beasts of the earth.” I don’t think that this refers to the bunny rabbits. Yes, I do believe the Bible but the Bible is almost entirely about the Creator’s plan to reunite with mankind and how he created a pure bloodline to bring that about through. I believe that first Enoch is more of a historical type of writing that is fairly reliable and was respected by the writers of both the New and Old Testaments. There are other non biblical ancient writings that refer to the genetic perversions by the fallen ones as “gods.” I believe that they were worshiped as gods because of some of the unusual abilities that they had due to their genetic connection to the Watchers and other fallen celestial beings. These strange cryptids that seem to hide so well probably have some genetic component that was put in them by these fallen entities. There are no “good” ones.. Some may be less violent due to genetic dilution but they are all from the same dark source. The Creator does not have anyone in his kingdom perverting his creation. You can only serve one master. I’m glad that Wes does not censor us “flute players.” I guess I am a flute player because I am a Christian and relate every aspect of my life to spiritual principals. I guess I am not a traditional Christian because I do believe that there are many unseen and misunderstood aspects of this life. I’m sorry that offends some people but this country was founded on the belief that everyone should be able to express their opinion even if it does not support your particular belief system. I don’t agree with the new age beliefs but I don’t believe that they should be censored. I also do not believe that the Sasquatch is a friendly forest creature but those of that opinion should be able to state their beliefs. So should Wes NOT have asked this man his opinion of what he believed Sasquatch is as he asks everyone else? Should he have cut him off when he started to express his spiritual beliefs? This field has gotten no where just trying to prove that it is merely a form of ape. Perhaps if people start looking at ancient history and what was believed to be fact at the time and listen to people who have experienced things that make no natural sense a few might gain some light on the subject. Belief is good, but cannot take the place of evidence and verifiable fact. Nor is it supposed to. The entire point of belief is to fill the gaps in our understanding until verifiable evidence allows our understanding to grow and our beliefs to expand. We have little evidence and verifiable facts on the Sasquatch. There is much we don’t know about apes. We are as different as night and day from chimpanzees and yet very similar animals. Sasquatch is highly evolved, robust, clever and very likely being assisted in it’s naturally furtive manner by governments who can’t afford to let their entire populations know they are “living behind enemy lines” in a sense. There is quite literally no way to protect the public, short of burning down all the forests (which would be logistically impossible anyway) losing trillions of dollars and putting countless lives of servicemembers at risk…all for something that can easilly be kept off the table by removing factual evidence when it HAS to be removed, turning a blind eye to a few missing people and mocking the rest. The innate hubris in humanity assists this process infinitely. None of us want to believe in a 10’ tall ape that lives so close to us and is so much better than us in nearly every aspect of life, save probably social networking, complex language, perhaps breeding and observably tool making. The only conspiracies that can be maintained are the ones most people WANT to believe. Most people want to believe they are the pinnacle of creation with a benevolent deity always looking over them. I’m pretty certain that if the agents of BLM or DoI that are involved were ever interviewed they’d laugh at how relatively EASY such a gigantic issue (pun, free of charge) is to contain. The Joke was AWESOME. Great show!